Hiding brittle, exfoliating, unattractive nails under two layers of nail polish is the same as if you would try to cure a sore throat by wrapping a neck with a beautiful scarf. Brittleness of nails appears with age. By the age of thirty, the body begins to lose calcium, which can lead to a decrease in bone mass. To strengthen the exfoliating nails, it is necessary to eat properly, to include food additives containing calcium and protein to your diet. The health of nails is also affected by unfavorable environment, chlorinated water and detergents. Give preference to nail polish remover without acetone, and always wear rubber gloves when cleaning the apartment. To accelerate the growth of nails, make them stronger and more attractive, you need proper nutrition. Check whether the below mentioned food is present in your diet in sufficient quantity. 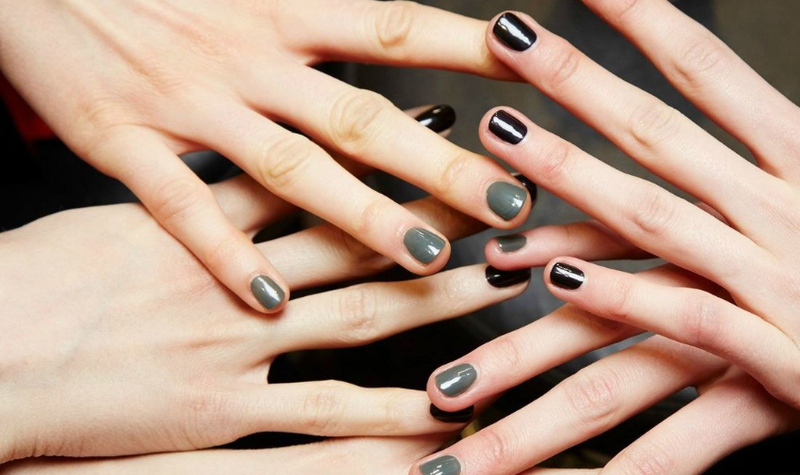 Vitamins A and B, as well as iodine, which have a positive effect on nail growth. They can be found in greens, carrots, liver, sea kale, egg yolk. Iron contained in walnuts, buckwheat, dried apricots, beets, is necessary for the formation of the structure of the nail plate. Calcium-fortified dairy products contribute to strength. Nail plate contains quite a lot of water. Its insufficient consumption can lead to a reduction in the thickness of the nails, and brittleness, as a result. Therefore, it is recommended to drink at least 1.5 liters of water per day. Despite our dislike for the cuticle, it has a protective function. Therefore, in no case should it be cut, only to be pushed back. It is important that your nail master would not use metal tools for that. This can adversely affect the growth and condition of the nails. 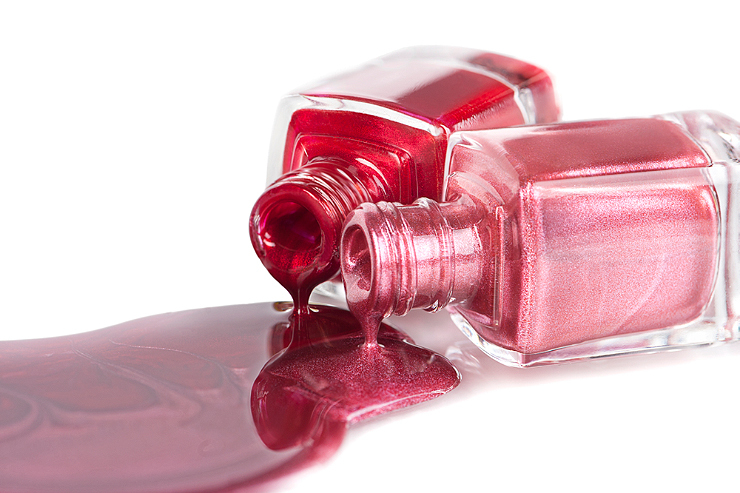 Nail polishes are not aimed at the treatment of nails. This is an accessory that we wear to complete the image. 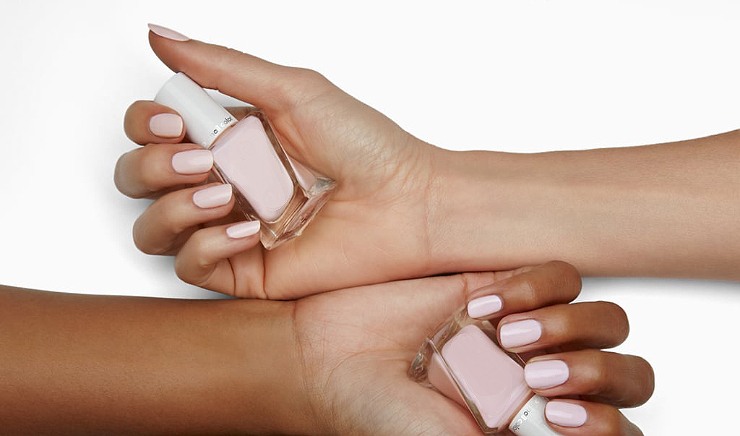 5-Free is a modern formula of nail polishes where five harmful components (which were usually common for nail polishes) are excluded: toluene, dibutyl phthalate, camphor, formaldehyde and formaldehyde resin. They can cause severe allergic reactions, headaches, respiratory problems. Marking “5-Free” is a guarantee that the chosen nail polish will not harm the nail plate and health in general.